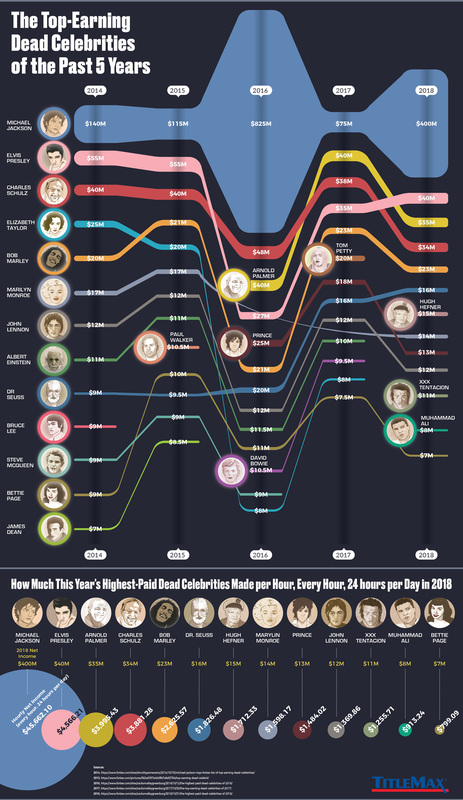 This infographic from TitleMax.com explores some of the deceased celebrities earning millions of dollars years (sometimes even decades) after their deaths. Some examples include: Michael Jackson, who earned $400 million in 2018; and Elvis Presley, who earned $40 million (deceased since 1977). Readers will be surprised to learn how much their beloved celebrities’ estates are earning annually, and where that money comes from.